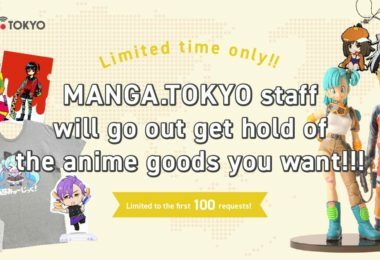 MANGA.TOKYO > Anime Information > Spring 2018 > Aikatsu Friends! Aine Yuki is attending the Star Harmony Academy’s general course and is good at making new friends. She becomes friends with top idol Mio Minato and they appear on the ‘Aikatsu’ stage together?! Waiting for Aine and Mio are busy days with unique idols such as Maika Chono and Ema Hinata, work in the entertainment world and their school life. 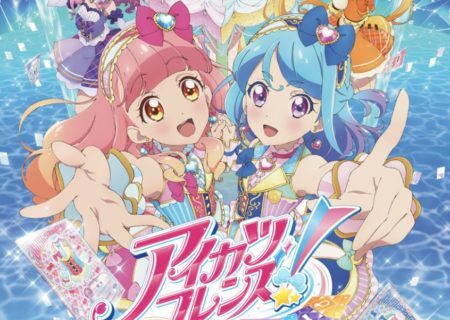 Their dream is to become the brilliant top idols- ‘Diamond Friends’!. Karen Kamishiro and Mirai Asuka’s dresses do indeed shine like diamonds! As the group’s numbers increases so does the drama too! Dress up with Aikatsu! Cards! Fans are ‘Friends’. Cards are ‘friends’. With many friends come many dreams!! 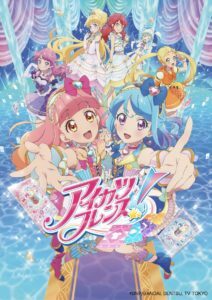 Aikatsu derives from Aidoru Katsudou (Idol Activity) and is a story about girls aiming to become idols while putting a lot of effort and friendship into their aikatsu. It is originally an arcade collectible card game in Bandai’s Data Carddass line. Players collect cards, which help their idols to pass auditions, by dressing up. The first anime adaptation came out in October 2012. 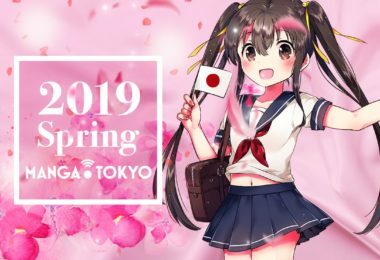 The manga series is being serialized in Shogakukan’s magazine Ciao. Four Nintendo 3DS games, light novels, three movies and other video games have been published so far.